Show runs from Thursday to Sunday and features advanced automotive technologies. Few cars are generating as much publicity as electric and electrified hybrid vehicles these days, and almost all of the newest ones will be on display at the 2018 Portland International Auto Show, which runs from Jan. 25 to 28 at the Oregon Convention Center. Potential buyers should know the 2018 federal tax reform bill preserved the existing EV and Plug-In Hybrid tax incentives. And Oregon is preparing to offer a point-of-sale rebate of up to $2,500 on most of them, pending the resolution of a legal challenge. • Honda will have full-electric and plug-in-hybrid versions of its all new mid-size Clarity sedan there. You can lease a Clarity EV for just $199 a month, and the Plug-In Hybrid starts at $34,290, before federal and state benefits. 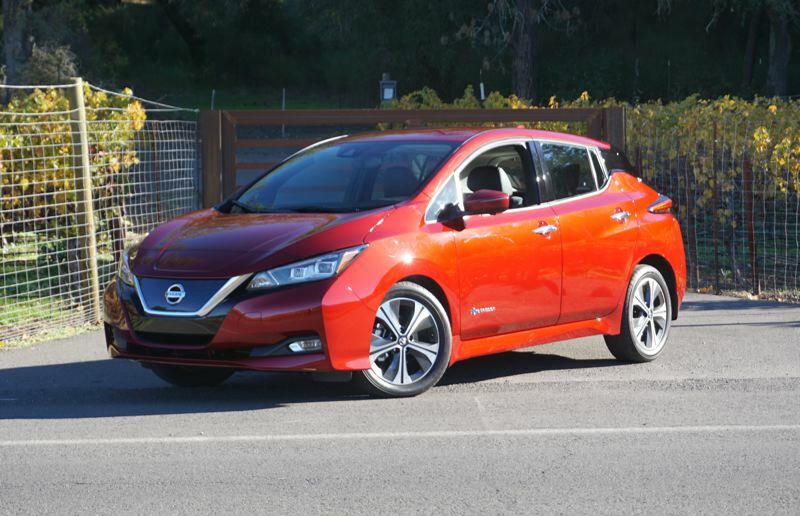 • Nissan has completely redesigned the Leaf EV, increasing its range to about 150 miles on a charge, while dropping the base price before incentives to $31,565. • Volvo is jumping into the market with its all-new 2018 XC60 hybrid SUV. With 400 horsepower and AWD courtesy of a rear-mounted electric motor, it is faster than most sports cars and starts at $48,893 before incentives. • Hyundai has announced the Ioniq Plug-In Hybrid for 2018, offering 27 miles of all-electric range before switching to traditional, economical mode. It is certified at 52 miles per gallon in combined city/highway driving. • Kia is offering the similar Niro compact SUV as a Plug-In Hybrid for 2018, building on the success of last year's Niro EV launch. It will start at $28,840, before incentives. • Mitsubishi is competing an all-new Plug-In Hybrid version of its capable Outlander crossover SUV, with a 2.0-liter gas engine augmented by twin front and rear electric motors. It features a 10-year, 100,000-mile powertrain warranty, and starts at $36,060 before incentives. To learn more, visit the Tech Center at the show. It includes electrified vehicles from all major manufacturers. Representatives from Forth Mobility will be able to answer your questions about incentives, while members of the Oregon Electric Vehicle Association will also be on hand to explain their real-world experiences. The 2018 Portland International Auto Show is produced by the Metro Portland New Car Dealers Association. The Pamplin Media Group is the media sponsor. When: Thursday, Jan. 25 to Sunday, Jan. 28. Begins with Sneak Peek Charity Preview Party on Wednesday, Jan. 24. Hours: 10 a.m. to 10 p.m., Thursday through Saturday; 10 a.m. to 7 p.m., Sunday. Where: Oregon Convention Center, 777 N.E. Martin Luther King Jr. Blvd. Tickets: Adults 13 years and older $12.00; Seniors $10.00; Military (with ID) $10.00; Kids 7 to 12 $7.00; Kids 6 year of age and under are free; Kids under 12 free on Sunday Family Day with adults.